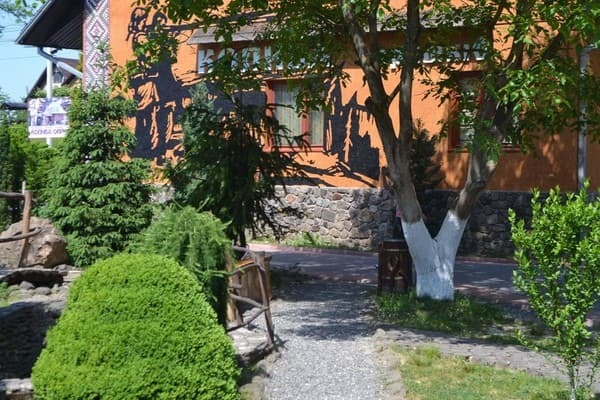 The hotel complex ‘’Scorpion’’ is located in a unique part of Carpathians that is famous for its exclusive area, optimum weather conditions for any season, an amazing variety of flora and fauna that will make your relaxation really unforgettable time and will make you come here again. 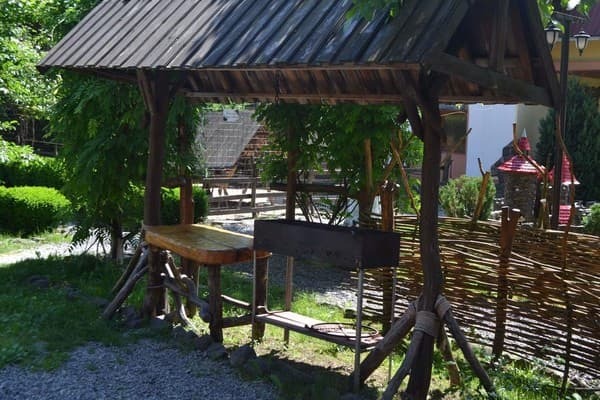 A suitable geographical location of the complex Scorpion allows to save your time considerably, getting acquainted with the beautiful and astonishing places of Carpathians. Such as valley of narcissuses, the Shajansky deposit of mineral waters, medicated baths, Spotty deer reserve, mountain lakes where is possible to drive on a catamaran and to fish, and in the winter – mountain-skiing lines, driving on the sledge, harnessed by horses. 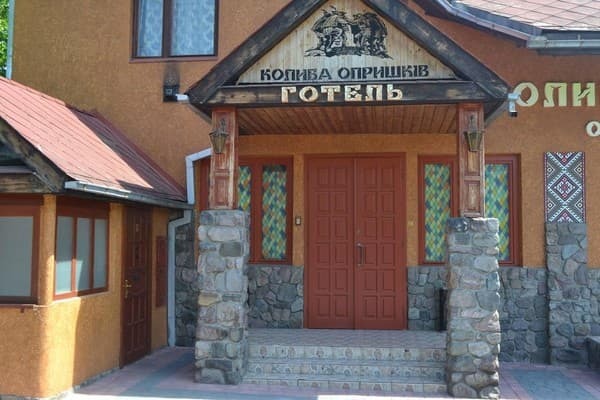 In a hotel complex Scorpion after each excursion you experience the real pleasure, having visited Russian bath or the Finnish sauna, having tried refined national dishes of the people that live in Trans-Carpathian, and having had a rest in the modern comfortable rooms or cottages. 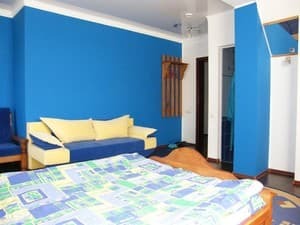 Description of the room: Double room with shared facilities, which has 2 single beds, a TV and a bathroom on the floor (toilet, washbasin, shower, bathrobe, slippers). 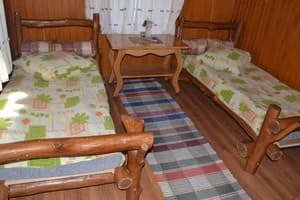 Description of the room: The room has a double bed, TV, clothes hangers, bathroom (toilet, washbasin, shower, bathrobe, slippers). Additional places - a sofa bed. 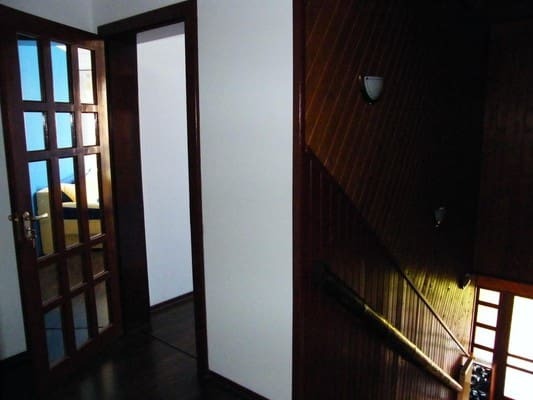 Description of the room: The cottage consists of a bedroom (2 single beds, a wardrobe), a living room (sofa bed, TV) and a bathroom (toilet, washbasin, shower). At the entrance to the cottage there is a small summer terrace with a dining table and benches. The cottage is rented completely. Description of the room: The room has a double bed, clothes hangers, a TV set, a bathroom (toilet, washbasin, shower, bathrobe, slippers). 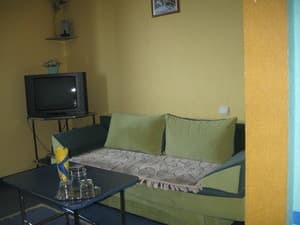 Additional places - a sofa bed. Accommodation of children of any age is permitted. Accommodation of all the children under 7 years old on available beds is free. Capacity of the additional beds in rooms- 0. 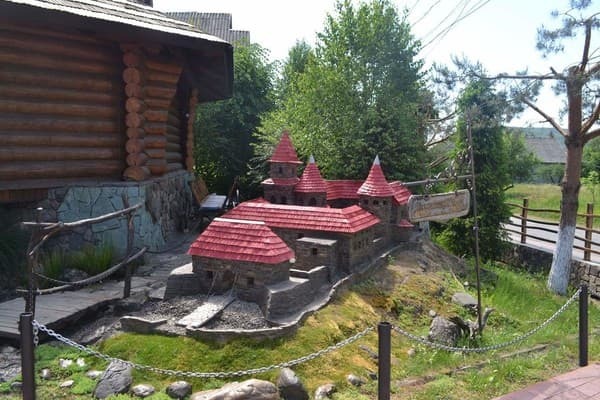 By train from the Mykachevo railway station and than by bus to the Hust city.